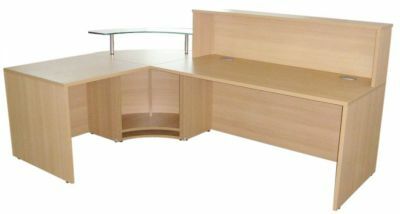 Our best selling reception desk available in Walnut, Gloss White or American Black Walnut Can be left or right handed. Price includes delivery and installation. Available from stock. Normal lead time is 7-10 days from order. 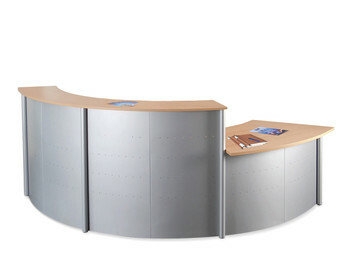 A ninety degree curved module with feature reception desk glass shelf sup[ported by chrome uprights. Lastly a 1600mm wide desk and counter module. 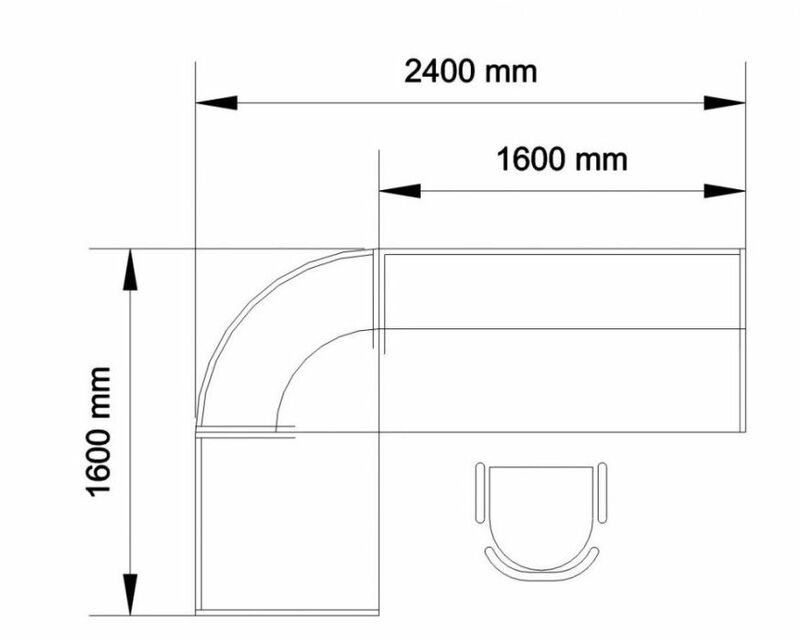 The reception counter is 1100mm high from the floor. 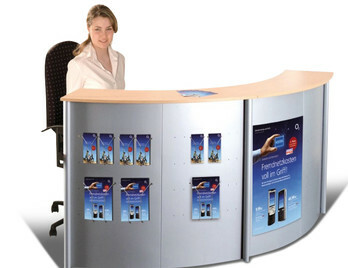 PB reception desks are manufactured to a high quality with 25mm thick desk tops and sides. 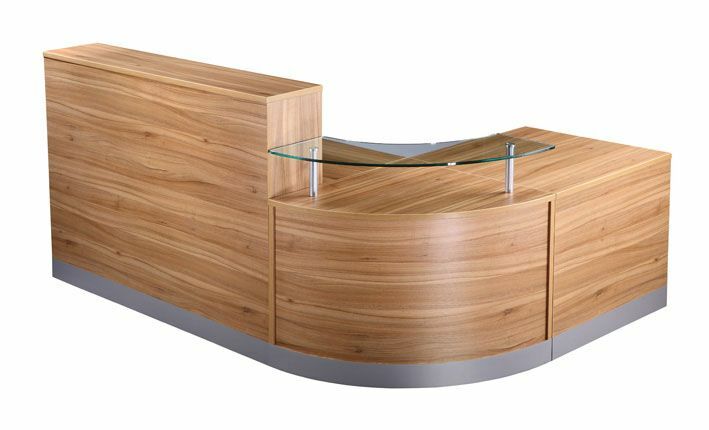 The modesty panels run to the floor and feature a chrome kick plate for added protection add to the looks of these stunning reception desks. 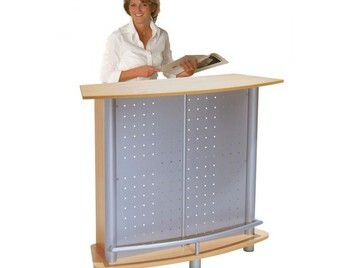 The reception desk modules are universal and can be used on either side of the ninety degree module. Finishes of this desk from stock are beech, walnut and light oak.